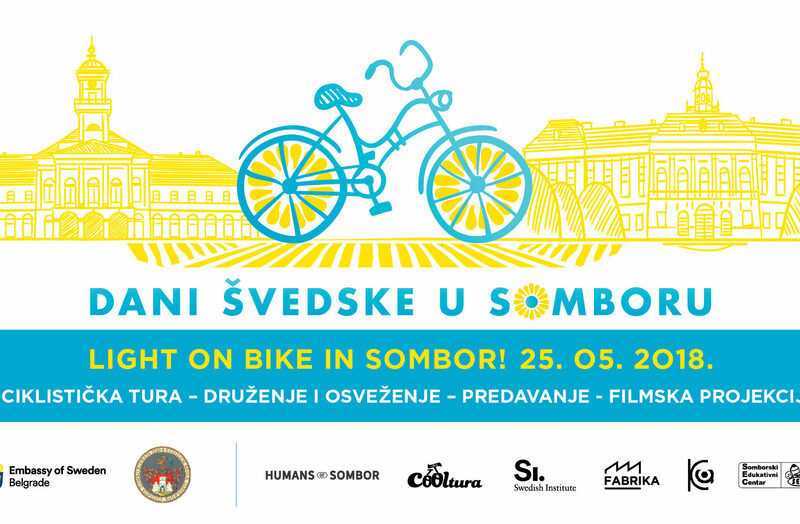 With support from SI the Swedish Embassy in Belgrade arranges a manifestation dedicated to the bicycle culture in the city Sombor, located in northern Serbia. The city with 40.000 inhabitants is known for its rich cultural heritage, stunning architecture and its bicycle friendliness. 19:00 participants welcome to the Cultural Center where the Swedish writer, journalist and avid cyclist, Johan Tell will speak on the benefits of cycling. Johan will also talk about one of his most famous books “En cyklo pedi” and his various adventures on bike. At 20:00 the audience will have the opportunity to see the Swedish movie Bikes vs. Cars, by film maker Fredrik Gertten.